Raw Elements Eco-Safe Sunscreen ~ 5 Winners! I get this question all the time – What safe sunscreen do I use and is it safe for the kids too? I’m excited to introduce you to Raw Elements today and the wealth of information they have on their website to educate you, not only on why their sunscreen is the best, but about sun and skin care in general. I hope you’ll take a few minutes to click through and read it. I know you will be intrigued! RAW ELEMENTS is the first and only sunscreen company whose entire line is Non-GMO Project Certified. All formulas are natural / organic and – unlike the majority of sunscreens on the market – contain NO chemicals, toxins, titanium, aluminum, nano-particles, dimethicone, alcohol, petrochemicals, phthalates, octinoxate, oxybenzone, parabens, hormone disruptors, preservatives, fragrances…. How cool is that?! You can’t get any better I don’t think! They have three products in their line. Eco Formula 30+ Lotion. This formula boasts balanced Physical UV protection through our unique Organic Eco-Shield Performance Technology. As a performance driven sunscreen, it is very water resistant beyond 80 minutes, yet so gentle and moisturizing it is perfect for our young ones! Eco Stick 30+. Can be applied UNDER WATER! Has an awesome easy applicator, it can be worn heavy and opaque, or rubbed completely into skin. I looooooooove stick lotions! You don’t have to touch anything and the kids can help themselves too! Eco Tint Stick 30+. Specifically designed to provide skin color application, suitable for all skin types and tones. Have you ever heard of such a thing! SO cool…no more white faces! 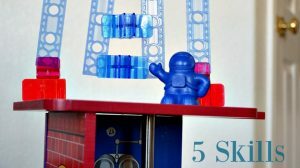 Again, I encourage you to check out RawElementsUSA.com and read why they are a top sunscreen choice from the EWG. 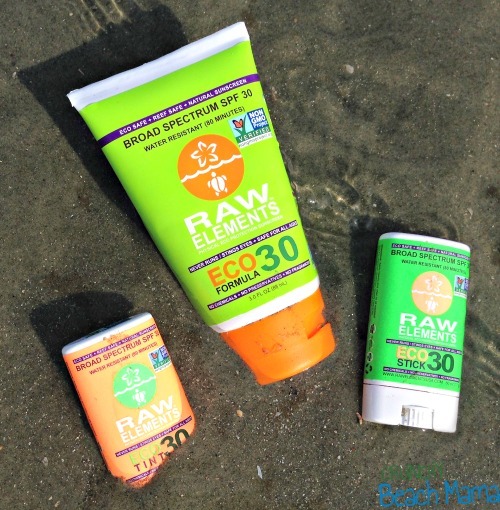 WIN a Raw Elements Eco-Safe Sunscreen of choice! I received these products for review and all opinions are my own. The giveaway will end on June 23, 2014 at midnight EST. Winners will be drawn via rafflecopter. Once a winner is drawn I will contact them and they will have 48 hours to reply before I draw a new winner. Giveaway is open to anyone in the US/Can and you must be 18 years of age or older. Giveaway not affiliated with Facebook & I release them of liability. Winner will be posted in the rafflecopter widget. Check out the Waterpik Professional Flosser! When I can pronounce the ingredients and know what they are, I'm all in! I hate smearing all those chems on the kids. Living in Florida, i'm always looking for new sunscreen to try! We go through a lot of sunscreen. I would love to try this on my son. I need this for when we go on vacation! I certainly could use some of this in my beach bag. Thanks for the chance. I had never tried this brand, but I love the ingredients!! I could definitely use this. Love products that are Eco Friendly! Yes, with three fair-skinned children, I could certainly use some sunscreen in my bag! I could definitely use this product! We live by the beach and go through A LOT of sunscreen during the summertime! yes!! I have been using coconut oil. We spend so much time outside in the summer that we go through sunscreen quickly, and I check the EWG ratings first. This one sounds great. I have a 5 & 6 year old and we live near the beach so we could use a lot of natural sunscreen this summer! I can always use sunscreen for the whole family that I can feel is not going to harm us more than the sun itself. One can never have enough sunscreen! I could definitely use some eco-safe sunscreen. The chemicals in regular sunscreen worries me and I am afraid to put it on my toddler. We'll be having lots of outdoor fun this summer, so some eco-friendly sunscreen is needed. We could definitely use some eco-safe sunscreen this summer! For the lake, pool and just being outside playing. O yes! Will be necessary for the long days spent outdoors. Cheers. New season - yep, always need sunscreen to make the most of it! I would love to win this! I am very worried about the chemicals used in sunscreen; I don't know what is worse, the sunscreen or exposure from the sun! I already love Raw Elements and use it whenever I am outside for any length of time. I have a very pale 18 month old. We tried this and I love it! Organic sunscreen would be great to try. We are a fair skin family and always need to use sunscreen. I could use it while working outside all day. I would love to use an eco safe sunscreen. You can never have too much sunscreen. My son and I are outside all the time. I have fancy sunscreen for him but years old banana boat for me. I could use some high quality stuff. I could use a good sunscreen!! I would love to try this eco safe sunscreen, I have melasma on my face so always need to apply sunscreen even if it doesn't look sunny...especially here in Florida. Love the idea of the tinted stick. We are moving to Florida, would love to have this! I would love to try a more natural sunscreen. I can always use some eco-friendly sunscreen! I can never have too much the way we go through it during the summer! We went through about a tube just this weekend...and I STILL got burned! LOL Man I wish I still had my teenage skin that never burned even without sunscreen! We are already having unusually warm weather so sunscreen is a must! I could! I always lather up the kids (and me!) when we head out. I would use this whenever I left the house. It's important to protect your skin. Yes we use Sunscreen everyday during the Summer and tons around the pool! My boys break out with traditional sunscreen. I hope eco friendly might also be more child friendly! We can always use sunscreen for me, my husband and the kids too. I am allergic to most sunscreens ,so I would love to try/win this because of the fact that I will be able to know what is in it. yes i could.Always protect my kids their both have sensitive skin. I could definitely use some of this sunscreen...my kids have very fair skin, so we use a lot of sun protection. Thank you for the giveaway!! I would love to have some of this awesome sunscreen for our pool visits and hopefully a trip to the beach. Being a redhead, I need all the protection I can get. I could definitely use some Eco sunscreen! We spend our summer at the splash pad and beach. I have an almost 5 month old and I have yet to buy sunscreen for him! I would love to try this eco-friendly sunscreen!! Yes i could need some bad. I love the idea of stick sun screen! I hate having sunscreen on my hands...especially water proof stuff. The kids always want a snack as soon as I've applied sunscreen (ok they normally want it before I apply and then I tell them, "Sunscreen first!") and I have to try not to get their food sunscreen-y. I'd love to use some eco-sunscreen at the zoo and beach. Yes, we recently had a trip to Mexico and we are all out! Some new stuff would be great! I have been looking for environmentally safe and human safe sunscreen forever, I have tried several brands, and none of them have been right for various reasons. I would really love to try Raw Elements sunscreen, it looks amazing. ohhh we need this for the pool. I have been trying to find an eco safe sunscreen. I could use some in my outside bag, we're always out and about through the days. The sun can be very strong and protection is a must! The pool bag could use some. I could use this at the beach and outside at all times. I would love some eco-safe sunscreen! could totally use great sunscreen, im worried about the contents of the sunscreen & need the best for my girl & myself as i have terrible skin & don't want her to have the same troubles.. I would love to use this at the beach! I would love this for myself and also for my grandson. I would love to have this for when I take my grandkids to the pool or water parks. Could definitely use this - love practical wins that the family can use! My daughter just got a pool for my grandchildren so I could really use some eco-safe sunscreen to use here in sunny Florida. I use sunscreen year-round, but especially in the summer. I love that this is free of toxins. I could! I just found out my 2 rating from EWG sunscreen got bumped up to a 4 this year. Hopefully it's a new formula vs. last year's :( I'm still using last year's since it's not expired. I could really use this. Thanks! I could use some ecosafe sunscreen. Mine is almost out. Yes, I could use lots of sunscreen.. I don't want to get sunburned. Yes, we are desperate for some!! I could use some for our beach bag and our fishing bag. I wear sunscreen on a daily basis as I work outside and am pale skinned. That makes it even more imparative that I choose natural sun protection options. I sure could use some Ecosafe sunscreen. We go through sunscreen like it is going outta style the no GMO is such a plus for us! I am always on the lookout for the safest sunscreen for my kids. Personally, I just stay out of the sun during the crucial hours, but that's too limiting for my children. ;) Thanks for the chance to win! I could use it in my bag, at the beach, in the florida summer heat! With four kids in our family, we go through a lot of sunscreen and I much prefer it to be Ecosafe. Always looking for safe sunscreen that works and doesn't feel icky! I'd love a safe sunscreen for my kids! I struggle every summer deciding which is worse... sun or chemicals. I have a 17-year old son who works for a lawn care company. He could really use some sunscreen for this time of year! Eco-safe sunscreen is something that I need a lot of during the summer. I need eco-safe sunscreen whenever I spend time in the sun. We could definitely use this sunscreen! Yes! I only use natural suncare products on my family, and i'd love to try this brand! We would be using this daily. I love that it's non-GMO certified. We could definitely use this sunscreen. With both kids at camp/daycare, the center uses sunscreen daily. Would love to try this out for them! Thanks! Yes - we could definitely use some of this sunscreen! My 2 1/2 year old grandson wants to live outside!! Yes we could use some! We will be at the pool and beach this summer and need protection! 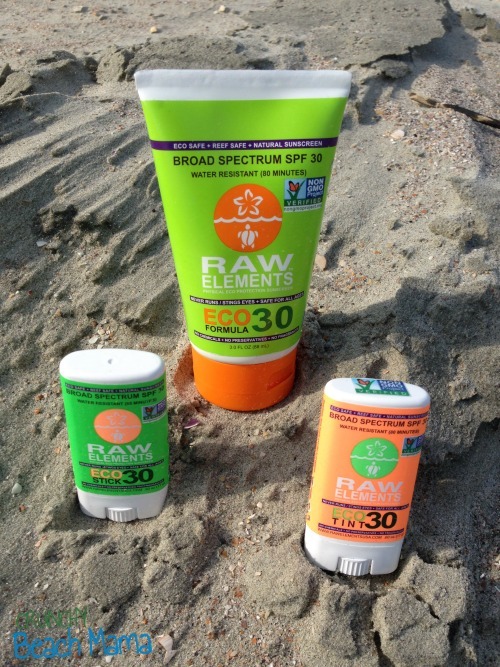 I could and should use Raw Elements Eco-Safe Sunscreen! We could use a ton of it!! We live a 15-20 min walk away from the beach.. so we're there a lot! Yes. I'd love to try this! I use eco safe sunscreen all the time. I leave one in my purse in the summer and then I keep them on hand at all times. I am always looking for safe sunscreen..........this sounds fantastic! This would be great to use for our trips to the pool. I could definitely use this in my pool bag! I need some safe, effective sunscreen for our family. 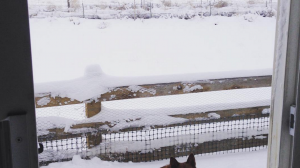 We are outside all the time! I would love to win some eco-safe sunscreen! We go swimming in the backyard most every day, so it would be used up quickly! We always need sunscreen. I would love to give this a try! I would like to try this on my grandson. 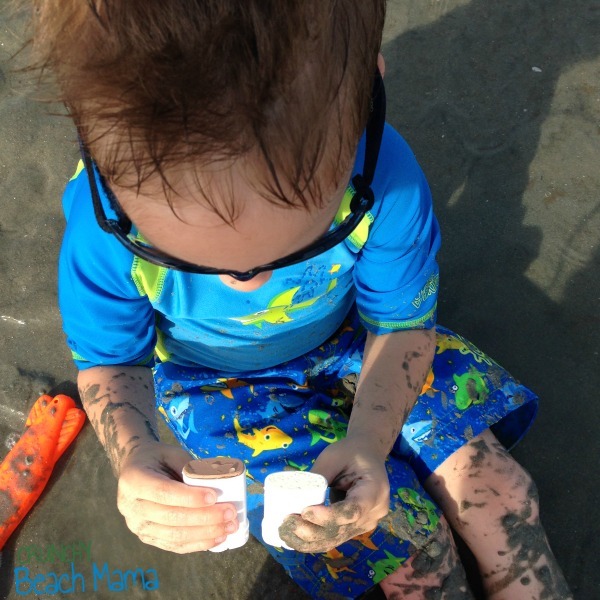 He's a fair-skinned toddler and his mom takes him to the beach at Tybee Island. I definitely could. I work outside and go through a lot of sunscreen. Yep, that would be pretty great! We spend about 3 days a week at a local pool we are on the board of (which means we get to cut the grass and clean the pool!)! We could definitely use some eco-safe sunscreen in our family! We live in sunny Southern California and are exposed to the sun quite a bit! My children especially need some for their sensitive skin. I have not tried any like this but would love to we are going to the beach soon so this would be wonderful to use. We use a lot of sunscreen in the summer. Lovin' that it's eco-safe! We're going to Ocean City this summer so eco-safe sunscreen would be much appreciated! Living in Florida, sunscreen is a must for us many months out of the year. I would like to try this product out. I live in the Phoenix area, so I could always use sunscreen.